UPDATE: Thanks to all who entered! Lots of great comments, but in the end we had to pick 5 winners. After reading the entries our staff chose the comments by Dan Human, Mike (“demon gazelle” comment); Tim Ahlstrom; Susan P.; and Bonnie Moebeck. Congrats! 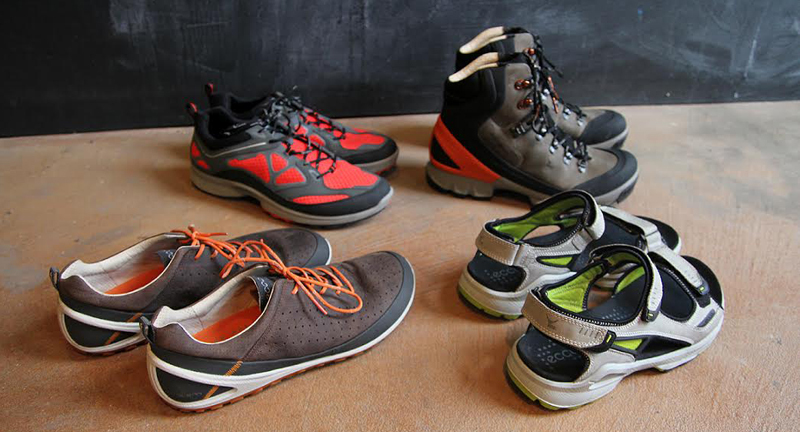 3) Add your comment to the comments area at the bottom of the article about which of the four different ECCO BIOM shoes you would pick for an adventure this spring, and why. That’s it. The 5 most creative/interesting comments win the shoe of their choice. See the full line here on the company’s outdoor products page. Good luck! Rules: Submit as many responses as you want. Be creative and fun, nothing crude. Winners are domestic USA only. Must be 18 years or older. We will pick the 5 most interesting, funny, or real reasons as our winners. Contest end date: 5/15/14.